Photo credit: Khalid Mohammed/AP Photo. 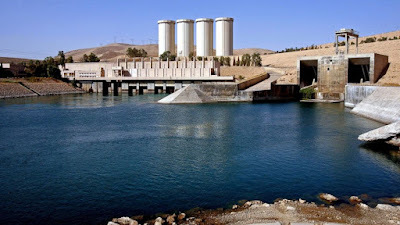 Lord, today we pray for Iraq’s Mosul Dam, which may be at risk of “catastrophic failure,” a breach that would endanger 500,000 to 1.47 million lives. Different experts may make different claims, but, Lord, we pray for the impending rehabilitation operation to be incredibly efficient and effective. We pray for all potential threats to be taken seriously and for workers and leaders to be diligent in giving the dam the best possible repairs. Lord, protect all people living within the dam’s vicinity, and help those responsible for the emergency alarm system to be vigilant in their roles. In Jesus’ name we pray, amen.